Brittany Caesar is half the girl she used to be. Two years ago, the 16-year-old from Houston tipped the scales at 404 pounds. Today, she weighs 175 thanks to a radical weight loss procedure that is usually performed only on adults: gastric bypass surgery, in which the stomach is stapled off, leaving a tiny pouch that is directly connected to the small intestine. “Before the surgery I was very depressed. I had no self-esteem. I couldn’t walk up a flight of stairs without stopping to catch my breath,” says Brittany, a high school junior who, thanks to the operation, is now active in her school’s marching band and debate team. Bariatric surgery changes the anatomy of the stomach by causing ingested food to bypass a large portion of the stomach and intestines. This limits the amount of food a person can consume and digest, and results in lower calorie intake and fat absorption. 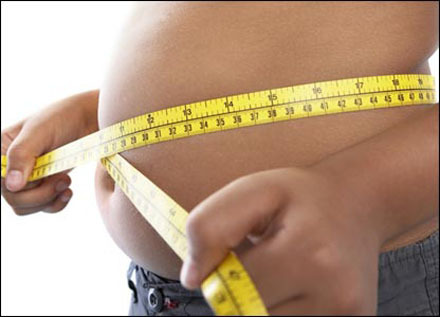 The number of bariatric surgeries has risen steadily, from 20,000 surgeries performed in 1992 to over 140,000 in 2004. No one is sure how many of those operations are performed on adolescents – the first occurred in the mid-1980s – but doctors estimate that there have been between 300 and 1,000 since 2000 in the United States. However, because there is so little long-term data, no one is sure whether Brittany’s success is typical for teens who undergo the procedure. Citing painful side effects and a one in 200 risk of death from bariatric surgery, some doctors worry that the procedure’s growing popularity among teens is exposing them to risks they are physically and emotionally unprepared to handle. But the growing number of adolescent bariatric surgery centers—eight across the United States, with the most recent center opening in November 2006 at New York-Presbyterian Hospital in New York City—is evidence of the high demand for teenage weight loss surgery. The trend has caught the attention of practitioners who specialize in treating adolescents. In an article published in the journal Adolescent Medicine Clinics, a group of physicians argued that adolescent bariatric surgery should only be used as a last resort when conventional methods of weight loss such as diet and exercise have failed. “Until we can get a handle on the problem, [surgery] is the most viable option,” says Dr. Thomas Inge, Surgical Director at Cincinnati Children’s Comprehensive Weight Management Center and a co-author of the Adolescent Medicine Clinics article. “Sometimes preventative options are not successful and sometimes non-surgical methods are not successful,” Inge says. “This leaves us with a large number of teens suffering from obesity with medical and mental health problems.” For some of those adolescents, he says, bariatric surgery may be the right choice. Nationwide, nearly 16 percent of adolescents aged 12 to 18 are overweight, and five percent are considered morbidly obese, meaning they are more than 100 pounds overweight. The added weight makes it much more likely that they will develop depression, as well as conditions that were once thought to affect only adults, such as hypertension, type-two diabetes and sleep apnea. Getting to the operating room depends on a patient’s body mass index, the measure of body fat in relation to height and weight. For an adult, a body mass index in the range of 18.5 to 24 is considered normal, with 25 to 29 being overweight and 30 or greater being obese. For a teenager to be considered for surgery, he or she must have an index of 40 or higher as well as severe obesity-related illnesses. The American Society for Bariatric Surgery also requires that candidates pass a rigorous screening by a team of nutritionists, pediatricians and psychologists before the decision to operate is made. The two most common bariatric surgeries are Roux-en-Y gastric bypass, the procedure that Brittany Caesar had, and the laparoscopic band. Also known as the Lap-Band, it is a reversible procedure in which doctors place an adjustable band around the upper part of the stomach, creating a much smaller stomach cavity. The band is connected to an access port below the surface of the skin, allowing a surgeon to adjust the size of the band according to the needs of the individual. There are both positives and negatives to each surgery, says Dr. John Morton, director of the adult bariatric surgery program at Stanford University, adding that since both procedures are relatively new in adolescents, there is no good data as to which is better for teens. The lack of solid information about how well most adolescents tolerate the surgery adds to the uncertainty, and means that both teenagers and doctors alike must stop and think carefully about the possible consequences. According to Morton, the mortality rate for bariatric surgical patients is 0.5 percent, or one out of 200 patients. Both procedures drastically restrict food consumption and effectively reduce weight, but there can be serious post-surgical complications. Blood clots, gallstones and gastrointestinal leaks are all potential threats. So are vitamin and mineral deficiencies as well as susceptibility to early osteoporosis. And there is another complication that is especially important to teenagers, Inge says: the social changes that come with a new body. “They are catapulted into a whole different social network and putting themselves at health risks and risk-taking behaviors— from STDs to substance abuse— that they wouldn’t have done otherwise,” says Inge. Editor’s Note: This story was first published on February 21, 2007. It was selected to appear here by our editorial staff while we are away. We will be back to publish fresh stories on September 10. Excellent article. I think it discusses both the emotional and physical risks that gastric bypass surgery poses for teens. i think that people should get of their fat asses and actually get some excersize for once!!! then they wont be sitting on their couch eating fried chicken while crying because they are fat!!! not everyone who is overweight is just sitting on their butts eating fried chicken. if you were smart enough to realize, some people have genetics which make it eaiser to be overweight and harder to lose weight no matter how hard they try. if you’d get you away from the tv and actually do some reading, you might be less ignorant. It takes a big man to do what you did. I mean big man in heart and soul not in fat.